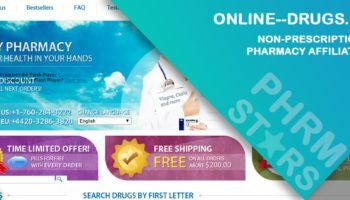 Canadaprescriptionsplus.com is a med store that has its physical location in Canada just as its name suggests. This pharmacy does not offer any information regarding when it was established. The pharmacy claims that their medications are 30 to 80% cheaper when compared to what other pharmacies usually sell the same medications. This drugstore has been selling both brand and generic medications. I could not locate any controlled medications on the pharmacy website. The only thing I came across were medications which have been approved by the FDA. 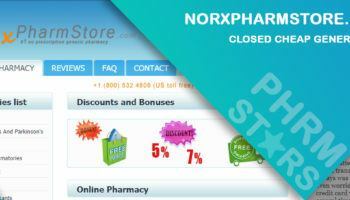 The store offers both prescription and over the counter medications. 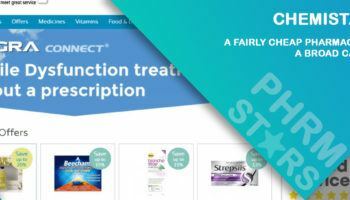 I checked the drugstore catalog to confirm whether men suffering from erectile dysfunction would get a chance to treat this condition by sourcing their medications from Canadaprescriptionsplus.com. The pharmacy had both brand and generic impotence medications. To determine whether these meds would be affordable, I decided to check the price of the brand and generic Viagra. A pill of brand Viagra would cost you $11.24. If you decide to buy generic Viagra, one of the brands being offered by the pharmacy is Suhagra. A pill of this drug will cost you $1.5. This price seems fair since a lot of men can afford it quite easily. However, for you to get either brand or generic Viagra, you will have to send a prescription script. This can be an inconvenience since not all men who need to treat impotence will have a prescription script. To pay for your medications, you get to use Personal Checks, Money Orders, E-Checks, International money orders, and bank certified checks. The drugstore states that since they are located in Canada, they do not accept foreign insurances. Although the pharmacy was not very clear on the methods it uses to ship medications, the drugstore indicated that you will need to pay $9.95 for your shipping. The delivery period would be between 2 to 4 weeks. Canadaprescriptionsplus.com states that once a prescription has been dispensed, it cannot be returned. They indicate they do this in order to protect everyone who buys meds from them. The pharmacy does not ship medications internationally. 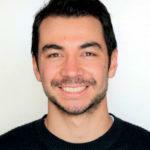 The first reviewer who calls himself Randy reports that he has had a great experience while dealing with Canadaprescriptionsplus.com. He ordered his generic Cialis from the drugstore and received Tadacip from Cipla in a period of about 2 weeks. The medication worked well. He has even placed a reorder for the same medication which he is yet to receive. James says that the only way to order from Canadaprescriptionsplus.com is through waiting until the order arrives and then pay for it. This means that he may have had a bad experience with the pharmacy. He has rated the drugstore a 0-star rating which means he was overly dissatisfied with the services the drugstore offers. The last reviewer has also rated Canadaprescriptionsplus.com 0 stars. He says that he sent his prescription numerous times. He never got an order number. When he called the drugstore representatives, they reported that they will call him back but no one called him back or even sent him an email. He states that he won’t be paying for any medications since the drugstore has already proven to be illegitimate. The first reviewer is extremely dissatisfied with the services he has gotten from Canada Prescriptions Plus. He has rated the pharmacy 0 stars. The pharmacy tried to charge him more than what they had listed. The pharmacy could not take credit card payment. They all of a sudden wanted payment via a check. They also wanted him to mail them his back details. Randy Fisch reports that his second order was not as great as the first one. He had to wait for the order for 5 weeks. When he got concerned and called the drugstore to ask about his order, they informed him that they did not have a record of the order. He says that he had to place another order which ended up arriving within 7 to 10 days. He appears to be pleased with the drugstore services. As long as you have bought medications worth more than 300 dollars, you will not have to pay for your shipping. Canada Prescriptions Plus is a pharmacy that does not appear to be trustworthy. This drugstore has more negative testimonials than positive ones. This reflects their inability to deliver quality services. The drugstore, however, has nice prices. Also, the drugstore will offer you both brand and generic medications. If you are looking for a pharmacy that will allow you to get meds without a prescription script, Canadaprescriptionsplus.com is not the pharmacy to use. You need a prescription in order to get any meds.